With Honda being the first of the Japanese to bring a true performance dual-sport bike back to their line, we sincerely hope the trend continues from the Big Four. Times are good and getting better for the category. After taking a look at the current dual-sport offerings from each manufacturer making them, we as consumers have a pretty nice spread to choose from this year. 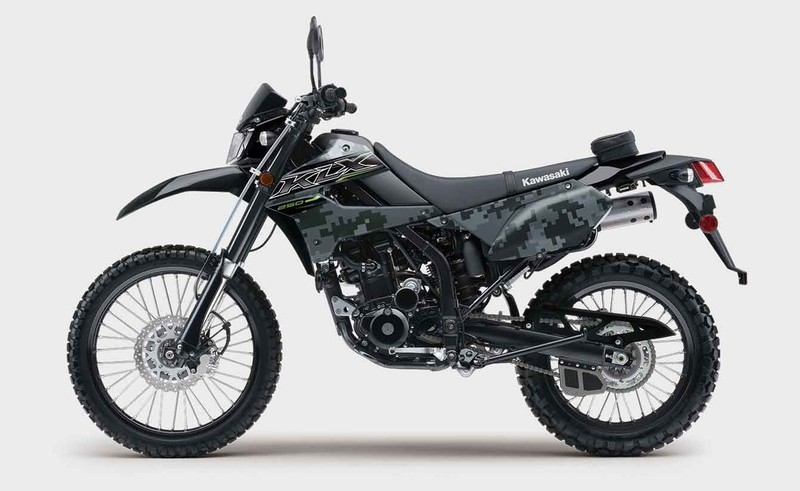 Since we love writing and publishing Top 10 lists here at Motorcycle.com, I thought I would throw together a list of the top 10 dual-sport motorcycles of 2019, the way I see it. Let’s do it alphabetically! A, B, D, er… wait was it H..? Beta’s RR-S line are all race-ready dual-sports with the necessary equipment to be legal on the streets of the US. The RR-S lineup includes 350, 390, 430, and 500 displacements. In terms of performance, the entire Beta RR-S line is comparable to KTM’s EXC-F and Husqvarna’s FEs. The engines pull hard and have the character of something between a dual-sport and motocross bike. The bikes are lightweight – around 250-260 pounds – which lends to agile handling. Each bike in the RR-S lineup also includes a Trail Tech Voyager GPS for its display which gives riders not only GPS, but also engine temp, ambient temp, trip, odometer, hours, and the ability to download trail routes. The RR-S line starts at $10,299 for the 350 and reaches $10,599 for the 500. In terms of performance-minded dual-sports, the Beta RR-S line is among the leaders. 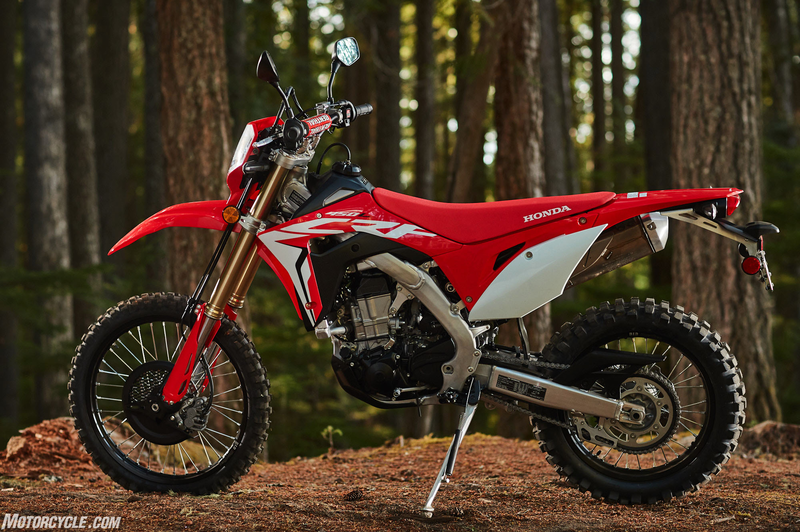 Honda’s new CRF450L is the dual-sport Honda fans have been waiting for. 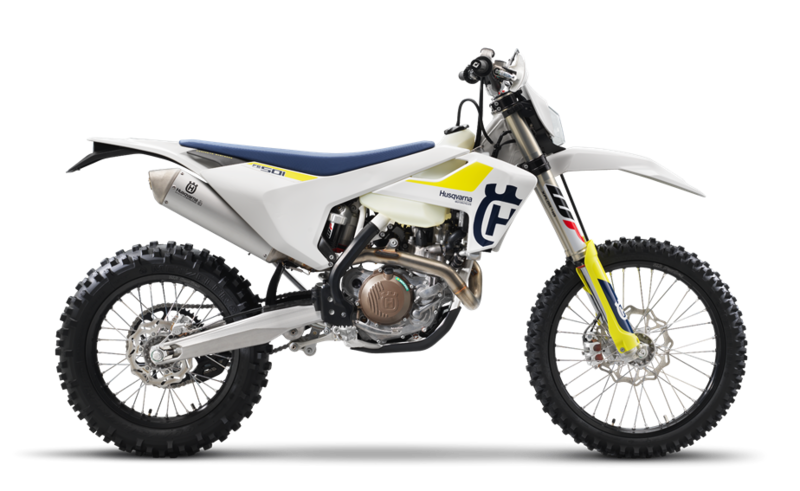 Heavily based on the CRF450X competition trail bike, the 450L packs a lot of performance into a street-legal package. The 450’s power plant delivered 37.9 horsepower and 26.9 lb-ft of torque on the dyno, which put it just two horsepower and two lb-ft of torque behind KTM’s 500 EXC-F. The Showa suspension is fully adjustable both front and rear, letting riders tweak the setup to their liking. 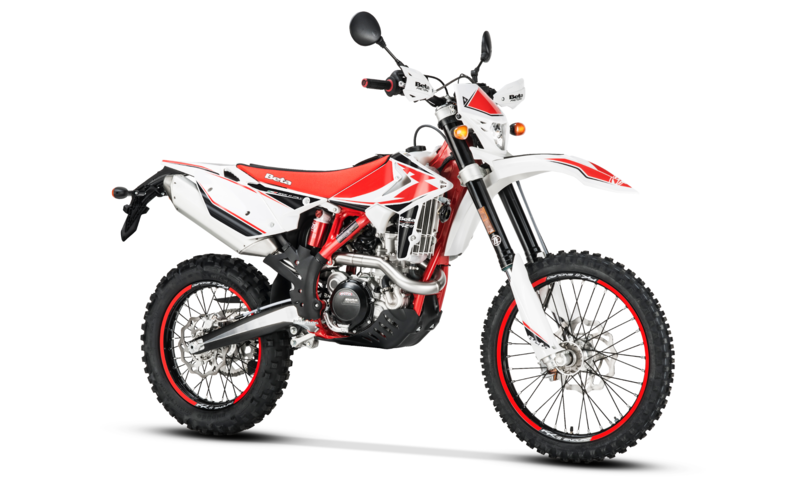 With 12.4-inches of ground clearance, the Honda CRF450L is ready to push the limits. At $10,399, the Honda isn’t cheap, but it performs nearly as well as other top dual-sports on the market. Husqvarna’s FE line consists of 250, 350, 450, and 501 offerings. Other than bore and stroke, the bikes are virtually the same. All four use the same WP fork and shock. Differentiating the Husqvarna FE line from its orange cousins is the linkage system between the shock and chassis. The Husqvarna FE line is also equipped with Magura braking and hydraulic clutch components, and a lightweight composite subframe. With a trail-tested parent company like KTM overseeing production, the Husqvarna comes in with stellar performance and a few key differences that make the white bike a race-ready dual-sport in its own right. The FE line ranges from $9,899 for the 250, and up to $11,299. The 701 Enduro from Husqvarna bridges the gap between adventure bikes and dual-sport. Though the extra displacement gives it a leg up on the road, the extra weight makes it more of a handful in tight technical riding scenarios. Don’t be fooled though, the 701’s focused off-road capability is serious. The closed-cartridge 4CS WP fork is fully adjustable and offers 10.8-inches of travel, as does the WP shock which gives the big dual-sport just over 11-inches of ground clearance. The 701 carries its 3.4-gallons of fuel in the polyamide rear subframe. 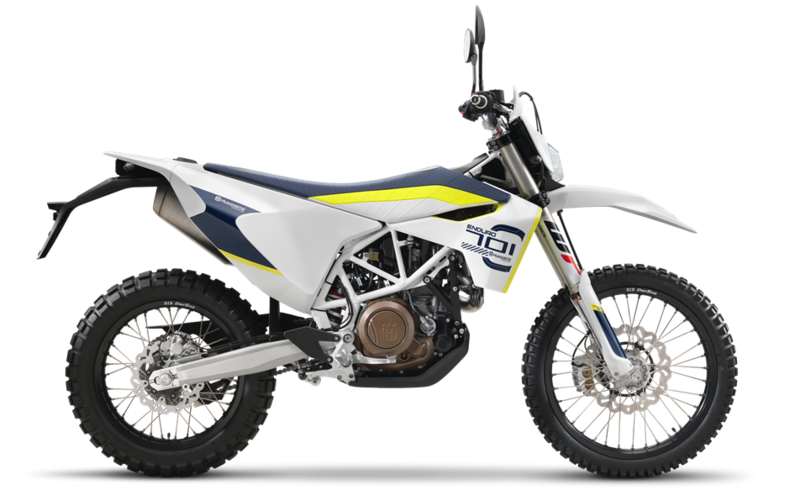 If you think you may spend more time covering larger distances between trails, at $11,899, the Husqvarna 701 Enduro may be the bike for you. The KLX250, a great bike for folks looking to dabble in off-road excursions or even for those entirely new to riding. The KLX250 is Kawasaki’s biggest dual-sport (RIP KLR650) and can be a great bike – at a great price – for riders of varying skill levels. The little Kawasaki doesn’t light the world on fire with performance, but riders will still be able to get out into the hills and have fun doing it. 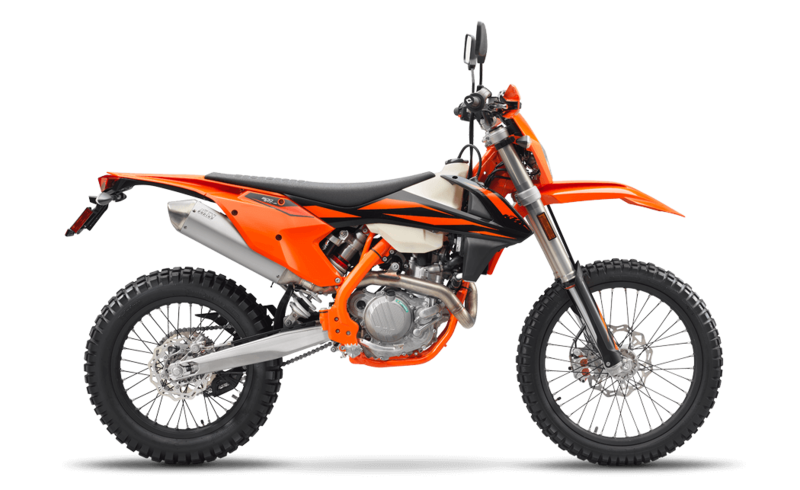 The KLX’s plush suspension offers 10-inches of travel up front and 9.1-inches in the rear with 11.2-inches of ground clearance. If you’re looking to cruise down forest roads and around town, the KLX250 is a great bike for it and at $5,349, it’s least expensive model on our list. KTM have earned the longest streak of off-road championships on our list, dominating the off-road scene and putting their competitive pedigree into their dual-sport line. Available with 250, 350, 450 Six Days, and 500cc options, riders are able to choose the engine size they want without giving up quality componentry. The WP 48 XPLOR fork gives riders full adjustability as does the PDS XPLOR shock. What sets the KTM’s chassis apart from every other brand on this list, aside from Zero, is that the shock mounts straight to the swingarm rather than using a linkage below, giving it more ground clearance and less chance of getting hung up while going over obstacles. Brembo braking and hydraulic clutch components are used and deliver great brake feel off-road and a light pull at the lever. The KTM EXC-F line is the most expensive dual-sport – aside from the larger Husqvarna 701 and KTM 690 – on our list, and ranges from $9,799 for the 250 EXC-F to $11,199 for the 500. If you’re looking to do some serious trail riding, KTM’s EXC-F line gives you four options to consider. The KTM 690 Enduro R uses an LC4 690cc Single, which combined with the 3.6-gallon tank, is designed to take you further than most dual-sports on this list. The 690 Enduro is also one of the most tech heavy bikes on this list as well, coming complete with motor slip regulation, lean angle sensitive switchable ABS, two ride modes, and Quickshifter+ allowing for clutchless up and down shifting. On top of all that, quality suspenders from WP plus Brembo components round out the 690 Enduro R as a great ride for those who plan on doing a bit of everything. Pricing for 2019 is yet to be determined, but the 2018 model came in at $10,899. Suzuki’s DR-Z 400 S has been around since the dawn of time, or at least it feels that way. 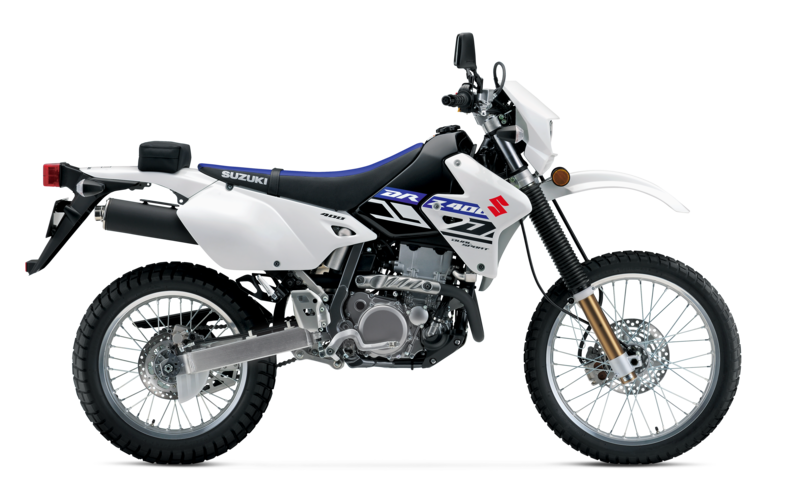 The first DR-Z 400 rolled off of the assembly line in 2000 and has undergone minimal changes since. It’s 398cc Single is time-tested, providing ample power for freeway riding, tractoring up hills, and cruising forest roads in between. The DR-Z is the only bike on this list that still uses a carburetor which gives one an idea of just how unchanged the Suzuki is. Still, with 11.8-inches inches of ground clearance, it will get you out having fun on the trails, just as it has been for nearly 20 years. Base MSRP is $6,749. Yamaha’s WR250R is known as the most potent of the 250 dual-sports. Developed from Yamaha’s YZ motocrossers and WR off-road lines, it has the family ties to be a great bike. The WR250R’s fully adjustable fork provides 10.6-inches of travel while the linkage-mounted shock gives the same. The aluminum semi-double-cradle chassis is shared in part with the YZ/WR line as are the narrow rider ergonomics. 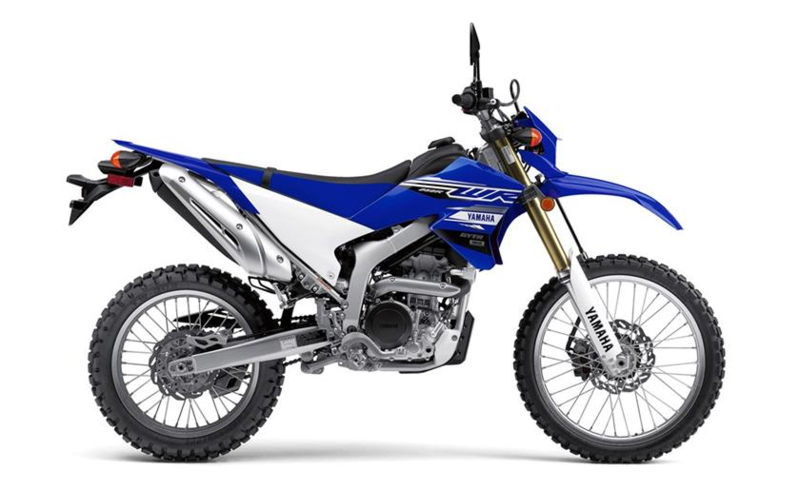 The Yamaha WR250R comes in priced just below the larger Suzuki at $6,699. The future! 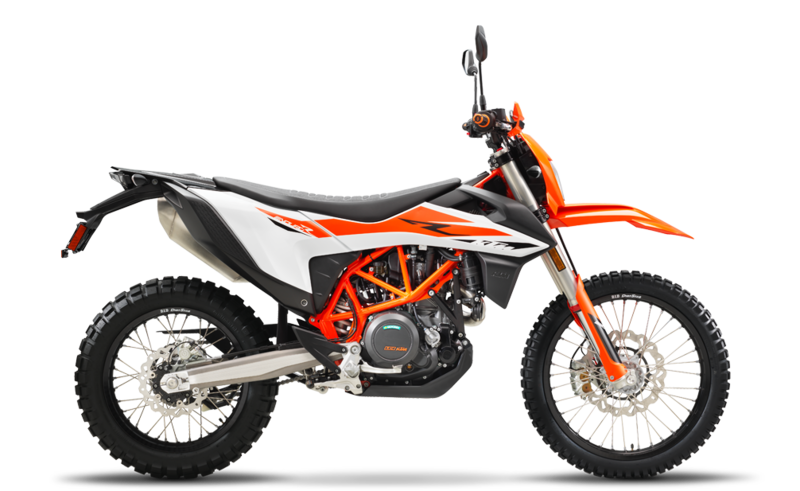 Electric motorcycles, and specifically off-road electric motorcycles have been gaining popularity, despite the untimely demise of Alta (RIP). 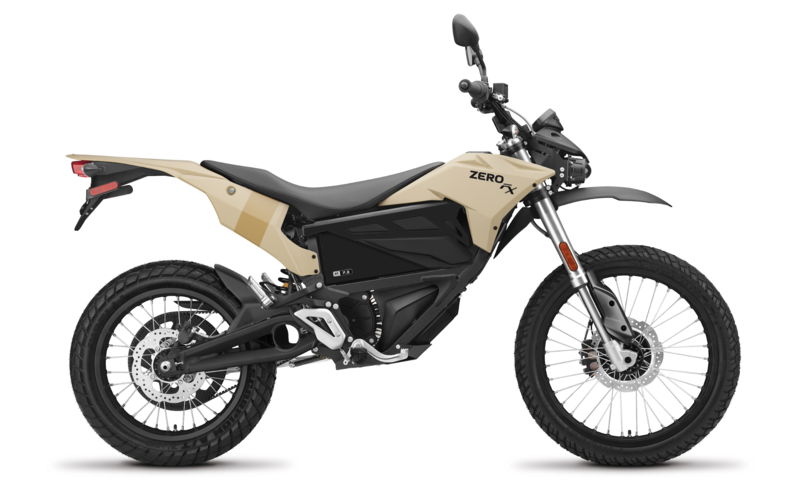 Zero’s FX model gives dual-sport enthusiasts an electric option for the trails. The FX is available in ZF3.6 and ZF7.2 battery configurations. The 3.6 is able to be swapped out quickly for a fresh battery or you can put two batteries in to equal the larger 7.2 battery capacity. The ZF7.2 delivers 46 hp and 78 lb-ft of torque as claimed by the manufacturer, with a city range of 91 miles and highway of 39. Charge time for the 7.2 kWh battery is 9.2 hours to 95% and 9.7 to a 100% charge. For an extra $600 an accessory quick charger is also available which cuts charge time to 1.3 hours to 95% and 1.8 hours to a 100% charge. At a claimed 289-pounds and 34.7-inch seat height, it could be a fun option for those interested in cruising through the trails in silence. Not to mention, almost Zero maintenance (haha, get it..). Pricing is $10,495.